Busy holiday bakers in the Merry Christmas parade. 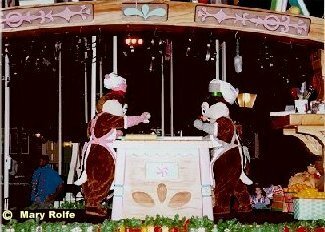 Chip & Dale had breakfast with Jon and I at the Grand Floridian a couple years ago. we're all good friends.